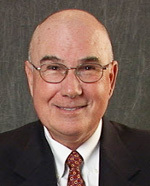 Di Fiore, Peter M D.D.S. Teen Braces: Straight Teeth In Progress! Many pre-teens and young teenagers have colorful smiles -- they wear braces. Today's teen braces bear little resemblance to the "train tracks" that baby boomers may remember from their youth -- they're updated in style and make a colorful fashion statement that's good for their teeth! You can even get invisible braces, which are made by Invisalign. Why Do Kids Wear Braces? It's not surprising that many teenagers wear braces. Dental experts estimate that more than two-thirds of the population need braces to correct dental problems that occur, including teeth that protrude or are crooked, teeth that overlap and crowd each other, and teeth that have gaps between them. In addition, some children need braces to align their teeth and correct their bite. Whatever the condition, children recognize that they will enhance their appearance in the long term. Parents know that they are actually making an investment in their child's health and appearance. Now with invisible braces children won't have to be self conscious of their smile when the are wearing orthodontic braces! What Happens If They Don't Get Orthodontic Braces? Not everyone who needs orthodontic braces gets them. Children who have problems with their teeth will not outgrow them, nor will their teeth "just take care of themselves." Crooked teeth or overlapping teeth will stay that way, and will be difficult to clean, which can lead to bacteria growth and gum disease. Bites that need correcting will cause difficulty in biting or chewing as time goes on. Teeth that are not aligned correctly may wear the enamel more quickly, which exposes the teeth to more damage. When Should My Child Visit an Orthodontic Dentist? It's a good idea to schedule an appointment with an orthodontist when your child's permanent teeth appear, sometime between the ages of five and seven. Your family dentist may recommend an orthodontic dentist in your area if he isn't able to fulfill your needs. 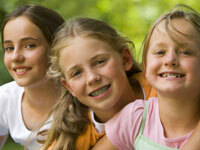 You may also ask friends whose children have had orthodontic braces if they have any recommendations. An early appointment is advised to spot any potential problems that require treatment. Timing is critical since delaying treatment can multiply some dental problems. The orthodontist will be able to tell you how your child's mouth is developing and whether any problems exist. At early ages, children's jaws are still growing; at about age 12, the mouth and jawbones begin to harden. Some children at the earlier ages require a retainer, which sometimes eliminates the need for teen braces at a later age. After this age any structural work may require complex surgery so early treatment is advised. Smile - Straight Teeth in Progress! Because so many children have braces these days, much of the stigma of teen braces has disappeared. In fact, teen braces are often viewed as a fashionable rite of passage. While your child may experience some good-natured ribbing at first, chances are that lots of classmates have braces, too. Remind them that their smile -- and their dental health -- is important to you, and that it won't be long before the braces give way to straight, healthy teeth, guaranteed to make them smile! Plus invisible braces by Invisalign could allow your child to repair crooked teeth and have the smile they have always wanted without the teasing from their peers. By Danine M. Fresch, D.D.S. Invisalign Invisible Braces: Should I Choose Them Over Other Dental Braces? Choose invisible braces, so no one can tell you're wearing braces to straighten your teeth. Now you can smile during treatment as well as after. They're removable, so you can eat and drink what you want during your Invisalign braces treatment; plus brushing and flossing with your invisible braces isn't a problem. Just take them out, brush and floss and put them back in. Invisalign braces are comfortable because there is no metal to cause mouth abrasions during treatment. And no metal and wires usually means you spend less time in your doctor's office getting adjustments. Call your orthodontist to see if invisible braces are right for you.